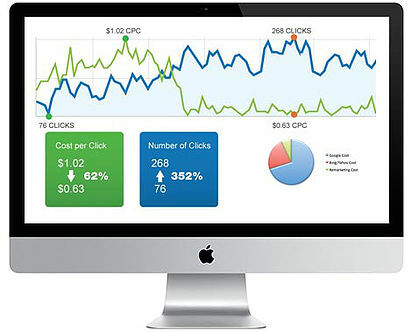 Earn a positive ROI through our PPC search advertising. Spend your money wisely using the most targeted and cost effective form of advertising. We deliver results that help our clients achieve their business objectives. We manage our clients’ accounts on a daily basis and monitor bid prices and budgets to ensure that we are maximizing ROI. THEY ARE IN THE BUYING CYCLE FOR YOUR PRODUCT OR SERVICE. As well as that great piece of information Pay Per Click also buys you time while ranking organically should you not be already, with the ideal situation being that both your PPC advertisement and your organic listing show up on top producing a tremendous brand exposure. Although statistically, only 20% of people click on Google AdWords it accounts for 65% of the clicks from buyers with high commercial intent…which is great. We provide a detailed report of your website SEO performance evaluation, as well as data about your traffic, top referring keywords and a full explanation of your search engine activity. Think of Yopie.ca when choosing an SEO company. Turn your valuable ‘potential customers’ into ‘loyal customers’. Our team of professionals will help you re-engage users who have expressed an interest in developing a strategy that will meet all your needs. Social Media has really gained steam….because it works, Facebook alone has quadrupled sales in the short time they’ve offered advertising. Need to generate awareness about your brand, product or service? We’ll develop a social advertising strategy aimed to meet your targets. Display advertising comes in several forms, including banner ads, rich media and more. Unlike text-based ads, display advertising relies on elements such as images, audio and video to communicate an advertising message. People have less patience than ever and you’ll notice a trend towards video ads and company explainer videos to get their message across in a quick and stimulating way while not forgetting that video adverts will increase your brand’s presence. Keyword research: First off, in PPC or Pay per Click you are only charged whenever someone clicks on your advertisement. SEO involves a lot of keyword research and the same applies for Pay per Click campaigns. When SEO agencies are engaging in this type of advertisement they have to do research on the best keywords to give clients the best return on their marketing budget. The research will let them know the kind of keywords people are using to search for the various products and services and which ones are actionable and actionable is the key term here. Example: Someone searching using the keyword phrase ‘knee surgery’ is at the information stage, looking for information on what’s involved in knee surgery such as recovery time etc. Now someone searching the keyword phrase ‘knee surgeon’ is at the stage of having the surgery and is now looking to choose a knee surgeon. You can see that as a knee surgeon you’d rather have the traffic associated with the latter keyword phrase as it’s a lead with the intention of purchasing a service, possibly your service. Target audience: With search engine optimization, you get an insight of your audience by researching on the keywords they use most frequently when searching for your products or services. With PPC more details are needed about the target audience and agencies must do further research to have a clearer picture of the demographics they will be targeting with the campaign. This is because of the platforms used for PPC have advanced targeting options where the advertisers can target their ads based on gender, age, location, spending habits, and likes as well as finding the most actionable keywords with high commercial intent. Creating the ad: After knowing the keywords to use as well as the target audience, the next step for in creating PPC campaigns is to consider the right creatives to use. Creatives refer to marketing materials that will be displayed to the target audience which tries to get them to take some action, such as banners, images, and ad copy. In coming up with the creatives, an agency will use images, text, and colours that appeal the most to the target audiences and increase the odds of them making the desired action, which is to click the link and be led to the main offer or the sales page. How is this done? Countless studies have been done on how consumers follow ad copy (eye tracking) and respond to images as well as certain colours, at Yopie.ca we cover every facet of a campaign right down to the copy and colours that pertain to your desired demographic, all of which are represented on your new landing page. Campaign monitoring: PPC campaigns don’t end after the ads are created and the campaigns start running. The agencies must monitor the campaigns, tweak the settings and watch their performance, to ensure they are on the right path towards delivering the expected results. The agency will then analyze the statistics to ensure that the targeting was accurate and the landing page is achieving the benchmark conversion rate or better. They will also check on the performance of the keywords to boost those keywords that are getting better results while discarding those that are performing poorly. 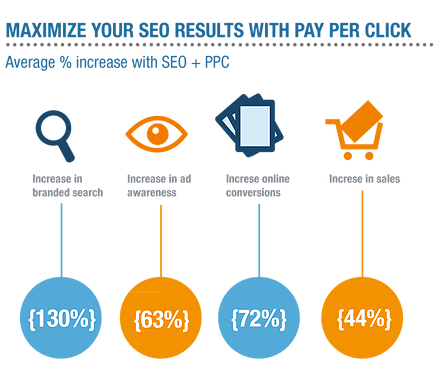 Essentially, SEO agencies will create multiple PPC campaigns with different parameters and continue tweaking them until they achieve the desired results. Campaigns will also subject to A/B testing, changing one small detail on the landing page and then comparing the results versus the previous one…and so on and so on. PPC Marketing Company: What do They Do?